Bianco Matrimonio has been operating in the branch of the organization of events for ages and for this we make ourselves available to satisfy each kind of request to make unique and unforgettable your most important day. We give attention to each detail; we help you in your choices in order that your wedding will be unique and exclusive; we take care of your guests…because a journey in Italy is a celebration but also a discovery. What can we realize together? From the moment you will send a request of contact, our staff will take care of you and it will give you assistance in each step of the organization of the event. They will think about giving you suggestions for your choices; the management of the local overseer; the guide and the hospitality of your guests and finally about the coordination of all elements which will distinguish your wedding. There is no wedding without forms and documents to fill! If you will choose to celebrate your marriage, our assistants will provide you all the essential information to complete all the bureaucratic paperwork, communicating for you with local public officials. Depending on your country, they will furnish for you all the indispensable documents. The plan is going to start! At first, after the location where commemorate your marriage, it occurs to choice the place where you will celebrate this magic moment. Between our business partner, we count villas, farmhouses, hotels and restaurants that are looking forward to receive you and your guests for an unforgettable day. You will only be spoilt for choice … and our staff will help you also in this moment to not to forget any particular! In Campania, many locations have available kitchens, so together we will only have to determine the menu, choosing between the numerous possibilities recommended by our chefs. But if you opt for an outer food service, we will help you to choice between different service providers, recommending you only the most trustiest business associate. There is no wedding without flowers! From your hotel room to the place where you will celebrate your marriage, up to the location of your reception, there will be waterfalls of flowers and colors that will perfectly match with your personal style and your taste. 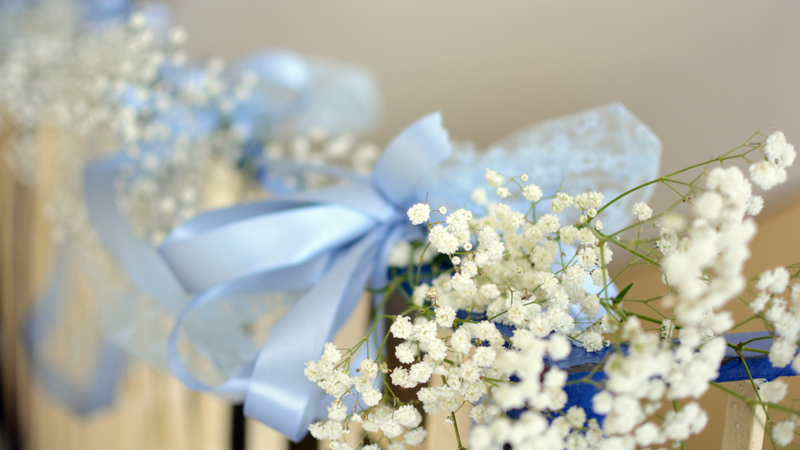 … without forgetting the classic and timeless bouquet for the bride! After many kilometers and a very touching day, do you not come back home without a recollection of this unforgettable moment? Our professional business partners in the field of photography will know how to immortalize each significant moment of your wedding, making it unique and eternal. You will have numerous opportunities available, from the most traditional procedures that concern the world of the photography and shooting video, to the most original ones. Do you love pleasant melody or do you love to dance until late evening? Your wedding will not miss any accompaniment notes which will completely reproduce your preferences and that kind of personality you will give to your event. From the entrance into the church or into the municipality, till the end of the day and beyond, it will be music to your ears! Not only music but also entertainment for children, fireworks shows, acrobats, caricaturists, dancers and jugglers. Express your preferences, we will translate them for you and for your guests in a moment of joyful and memorable performance. To be perfect and flawless for the day of your wedding, for you and your guests, we have an entire staff made up of hairstylists and makeup artists who will help you to shine in your own light. From the classic white dress to the innovative samples with gaudy colors: whatever your idea of bridal gown would be, you cannot deny that you are dreaming to wear it for ages because of that elegance and distinctive trait that every bridal gown have. So what is better than Italian high fashion or the best international brand, directly usable near the place of your ceremony, without running the risk to bust your dress during the trip? Brides, moms, sisters, bridesmaids … trust in good taste! Everything will start from the communication of your happy event. And our work, of course, will start from that point. A good presentation of your wedding through pleasant invitations is the first step to let people know that your wedding will be an unforgettable day; for this reason we will help you to create original and personalized invitations, that will describe you … and your guests will also receive, together with your party favors, fantastic souvenirs in the end of the day. Do you desire something that completely reflects you and distinguishes the entire event? We can realize for you the logo of your wedding which symbolizes your union and your love and that will remain impressed in the memory of all. The logo will be original and personalized and we always recall to let you know any detail of the event … to be always unique! We are nearly sure that you will arrive in Italy by plane and probably loaded of luggage and expectations. But we know how to simplify what concerns with transports: car rental, private conveyance, booked and collective buses for your guests. For the day of the wedding or for all the other days of your stay, moving is not going to be a worry at all! Not only transports but also hotels and other placements, because during your stay in Italy, you only have to think about enjoying the most beautiful moments. Room with a view, wellness center, rich breakfasts and all that can cheer your stay, we are ready to offer you. You only have to ring the bell! As you can know by now, your guests for us are very important. We will make sure that their attendance to your wedding would be more than a party, rather it will be a journey in a gorgeous land, made of comfort and assistance, where the only thing to think about is to have fun! Let us to deal with everything: from the departure of your country to transports and the hotel accommodation, up to the way back. Less concerns for you but more joy! As you have travelled a lot, you deserve to enjoy each moment in Italy. For this, we can organize for you and your guests personalized excursions to discover fascinating places, culinary tours, cultural explorations. So, all that can further enrich your event, we can do it. With all the last things to organize like also the desire to live some private time, maybe you will not have so much time to dedicate to your guests. In that case, we will do it for you! In addition to essential services, to perfectly live their stay, we can entertain your friends and relatives with some special moment to live like welcoming brunch, theme nights, particular dinners and happy hours with breath-taking panorama. Your guests will thank you, believe us! Don’t forget that we organize trips for over a decade and we are very good at! For this reason, entrust us in the last part of your wedding, to round off a completed path with love and dedication, yours and ours. Whether you want to continue your honeymoon in Italy or you want to go to suggestive and idyllic places of the world, our staff will always be available for you to express all its experience to let you live an unmatched and memorable honeymoon and, above all, without worries in complete safety.